A recently leaked slide shows some very interesting alleged features about the AMD Radeon R9 390X. The slide was released by Videocardz.com but unlike their usual leaks this one has ambiguous authenticity. I would urge readers to take this one with a grain of salt. The slide is pretty simplistic in nature and does follow the usual AMD template – something which I might add isn’t really that hard to falsify. AMD Radeon R9 390X WCE Allegedly Leaked – DirectX 12 Tier 3 Implementation? 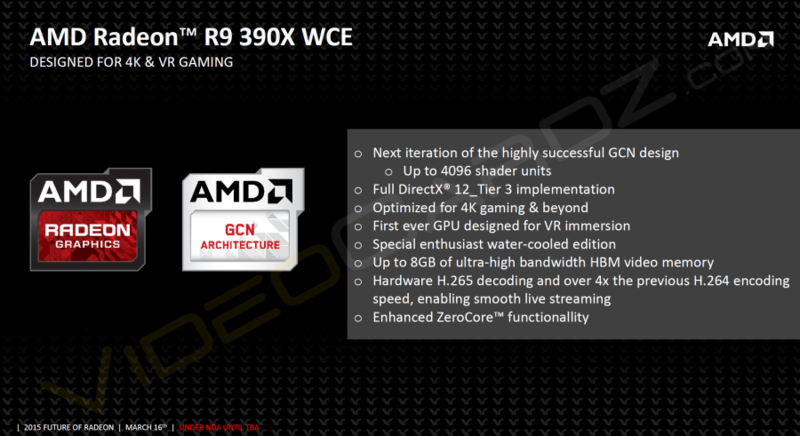 The slide lists an AMD Radeon R9 390X WCE – where I am assuming the WCE stands for water cooled edition. If this is true than that would imply that the AMD flagship is actually coming in both air and water cooled editions. This could also potentially mean that we might be seeing both 4GB HBM and 8GB HBM variants. Something that would really help AMD price skim the graphics market with the proper pricing. Interestingly the slide also states that the card features full implementation of DirectX 12 Tier 3. Since they are quite obviously talking about feature levels here I assume they mean feature level 12_0 considering that DX12 API is currently supported on released feature levels 11_0, 11_1, 11_2 and unreleased feature levels 11_3 and 12_0 (obviously). 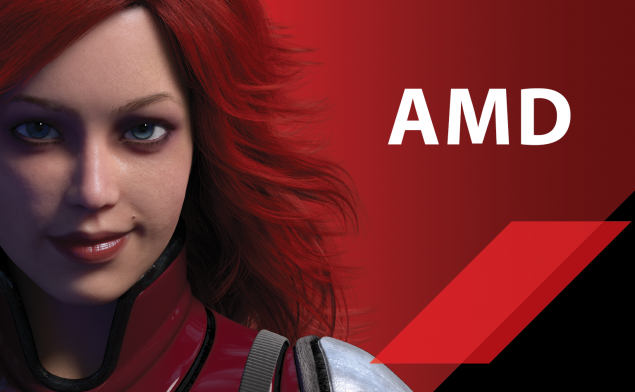 By Tier 3 AMD most probably means the full feature set that goes with feature level 12_0 (something that has not yet been finalized and something Nvidia’s Second Generation Maxwell Architecture claims to fully support). Some other interesting points to mention are the fact that the slide pegs the R9 390X at an astounding 4096 shaders and “enhanced Zero Core” capability. As far as the date is concerned, we contacted AMD and they made it clear that they have no event planned during that time. So this is either an inhouse or as most of our staff suspect: fake. I for one will be hoping that this slide turns out to be accurate after all.